Best CFA Level 1 Books 2019: CFA Curriculum, Schweser or Wiley? 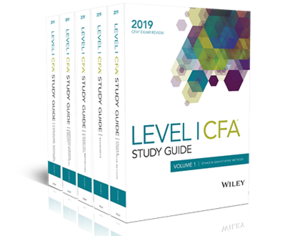 » Best CFA Level 1 Books 2019: CFAI Curriculum, Schweser or Wiley? Are you looking for an affordable and effective CFA Level 1 book? Choosing a book to study from is a valid approach for your CFA exam preparation. However, if budget isn’t an issue, we’d highly recommend studying from a fully comprehensive CFA course. In contrast to a book, a full CFA course will include video lectures, test banks with interactive questions, virtual assistance from professors, and more. There are a number of CFA Level 1 books from which to choose. I’ve gone in alphabetical order for comparison purposes, but I get into more detail later about which is the best CFA L1 book option for most CFA candidates. 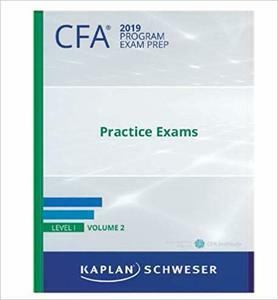 All the books on this list have been updated for the June 2019 CFA exam, as well as the December 2019 CFA exam. If you are looking for the best CFA prep books to study with, know that there are different considerations depending on your background, learning style, and budget. First, you need to know that the electronic version of the official CFA Level I textbook, also referred to as the curriculum, is included in your CFA Level 1 registration. In other words, you do NOT need to buy this unless you specifically want a printed version. However, I do highly recommend purchasing the printed version though because active reading will help you to pass your exam. Active reading in this case means highlighting and taking notes. Plus, you may want to work through some examples and questions directly in the book. Therefore, it is more cost effective for most people to purchase the printed Official CFA Level 1 Textbook because it would cost a small fortune to print 3,712 pages! In terms of the quality, the CFA Curriculum is very comprehensive and the most detailed you will probably get from any CFA book. Therefore, this option is best for candidates who want to get into the minutiae of the exam contents. Many candidates find that the curriculum is too lengthy (3,712 pages!) and can be hard to digest. If you are looking for the best CFA level I study material that will cover concepts more broadly, one of the prep books below may be a better option. As far as books for CFA level I go, we don’t recommend relying solely on the curriculum to prepare. That being said, it is still free when you register and can be great to use as supplemental content if you want a deeper dive on certain topics. 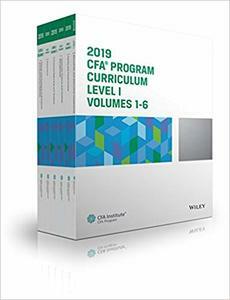 Better known as the Schweser Notes, these textbooks are a concise overview of CFA content for candidates who don’t have time to read through the entire CFAI curriculum. This set includes 7 Level I CFA books and 1 formula sheet. Also, you’ll also find 6 practice exams within the set. In contrast to the lengthy CFAI 3,712 pager, this set includes a mere 1,100 pages (whew)! Schweser material is considered one of the best CFA books for a reason — it is readable and makes the concepts easy to understand for those that don’t necessarily have a finance background. These are the most expensive Level I books available. But, if you have a larger budget, it may be more prudent to invest in a full CFA course instead, which includes a qbank, video instruction, and instructor help. While these books can be cost-prohibitive for some candidates, many individuals consider it the best book for CFA level I. However, Schweser doesn’t sell these books directly, so the best and most cost-effective way to acquire these books is through Amazon. 3. Wiley CFA Level 1 Books – Our Winner for the Best CFA Level 1 Book! Similar to Schweser, these books provide a high-level summary of the content presented in the curriculum. In contrast to the CFA curriculum, these CFA books are just 1/3 in terms of the number of pages! 5 books are included in the set, and every single LOS is covered. Additionally, this set has color-coding, making learning the concepts even more streamlined. Finally, Wiley CFA has a solid team that has been making accounting and finance test prep for over 40 years. In fact, Wiley CPAexcel is one of the best selling CPA products on the entire CPA review market. 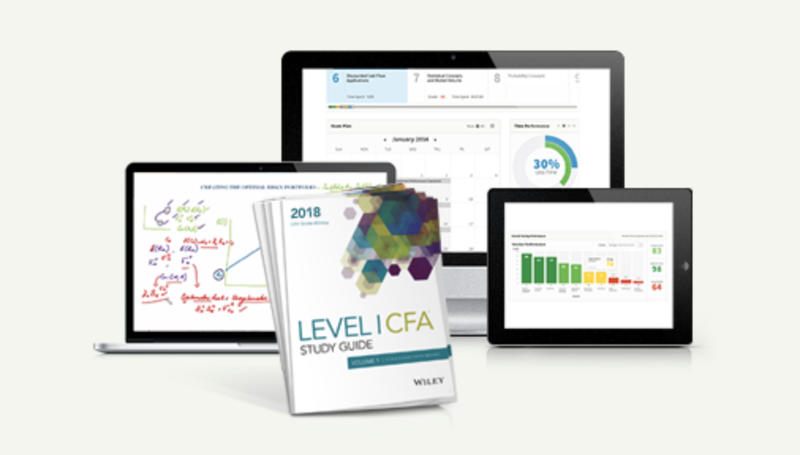 Wiley CFA has a large enough team to make consistent updates and they definitely know how to best teach the concepts covered on the CFA exam. 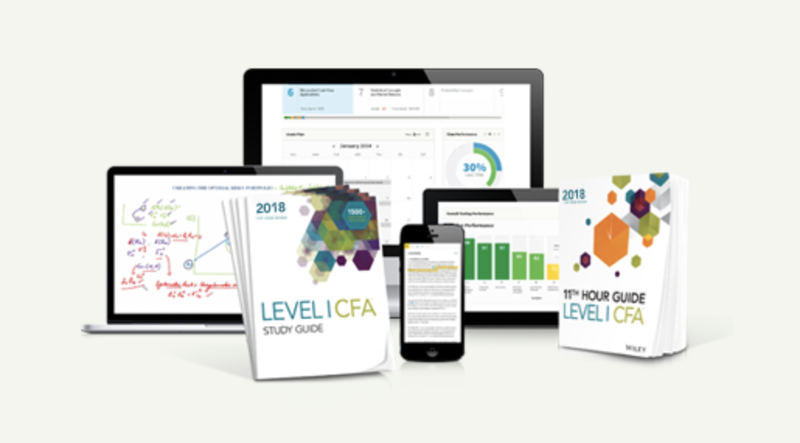 Given the sheer magnitude of material that you must know when preparing for your CFA level I exam, you will want a prep book that can be covered quickly and these certainly meet that criteria. As with other Wiley products, this CFA textbook is well organized with user-friendly formatting. Wiley wins our vote for the very best Level I CFA book because it’s concise, but not so much so that concepts are glossed over. Additionally, the books are very easy to read and leave plenty of room for you to take notes. Finally, the set is also very affordable, as you can usually find cost-saving Wiley CFA discounts that will help you to keep even more money in your pocket! We have yet to find another book that is as easy to read as this one! These books are also highly rated by our readers too. Similar to the Kaplan Schweser text book, this is the version without online test prep and other study tools. As you can imagine, this book does not intend for readers to go through each concept in detail. Therefore, it is probably not best for an absolute beginner to finance, but the set is great if the candidate has some background and/or if he/she is willing to refer to the CFA curriculum when necessary. We absolutely love how easy this book is to read, the color-coding, and complete coverage of all the LOSs. For a more complete set that includes video lectures, a qbank, and more, please check out the Wiley CFA Review page. You can also find Wiley CFA discounts here. Originally created by Elan Guides, this is the “summary of the summary” for the final review. However, the physical book doesn’t have examples, so it is better used to review key concepts that you may have forgotten, rather than as a core textbook to study from. For those who want a quick refresher of the concepts without having to re-read lengthy textbooks, this is a great option and will give an overall, big-picture view of the study units. There is not sufficient information to use this as your main learning tool. We have received more positive feedback on the Wiley 11th Hour Review Course, which includes video lectures, condensed notes and mock exams. If you only want the text book, you can check out the latest version on Amazon. Conclusion: Which CFA Books are the Best to Study With? 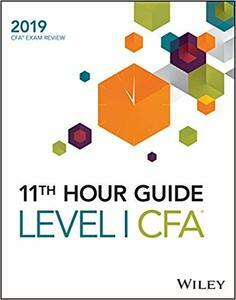 For those that have a larger budget to spend on test prep, we recommend you get a full, integrated CFA review course. These are going to be the best CFA Level 1 study materials and will provide multiple learning components for preparation. Moreover, these full courses will increase the odds of passing on your first try. However, if you are on a limited budget, we recommend combining the CFA curriculum with one of the aforementioned study books to ensure you have a comprehensive understanding of the test material. Trying to decide whether to use Wiley vs. Schweser? These are considered by many to be the two best books for CFA Level 1, and we believe that both are easy-to-read textbooks that can be used interchangeably alongside the official curriculum. However, due to the features and ease of reading, we highly recommend Wiley CFA over all the other options. Click to compare these CFA review courses now!